Mountain Naturals is another domestic incense that is carried by Incense-Incense that is very popular and on the same page as Nature Nature. Both these lines fly off the shelves especially when brought right back into stock. I have eagle eyes that watch daily and snag them up.....can't say much as only to how great they really are!!! That's why I offer doing special orders for both of these lines besides what is offered on site. With saying that it can take up to 2-3 weeks before order is received however you are guaranteed the exact amount you pre-paid for and a very fresh stick to burn. Nature Nature is my favorite domestic resin incense sticks that is carried by Incense-Incense. This U.S.A made incense is handmade and hand-rolled from high quality ingredients and sun dried. The resins, herbs, powders and oils that are used for the variety of these scents are all natural, the best of quality and always fresh as possible. The packaging is simple yet comes with 10 long burning sticks that last well over an hour in burn time. On the back of the label it explains the botanical name, aromatic benefits and magical uses. I find this real helpful in my line of work and knowing what I should burn for that given day and/or ritual/mediation type uses. Incense-Incense offers all 26 scents made from Nature Nature and is always up to date on new incense coming in with this line. This year alone I have added 4 new scents: Cinnamon Pure, Desert Frankincense, Holy Frankincense and Frankincense/Benzoin Incense Sticks. With a year of many changes (including ownership change) Incense-Incense is now back to blogging. 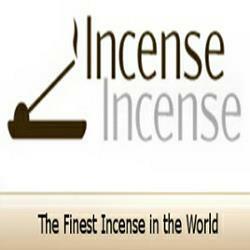 I will be posting new, fresh information with in-depth reviews on the higher quality incense brands. Don't fret as I will also include information on resins, essential oils, white sage, smudging herbs accessories and much, much more!! !